In his regular IndustryWeek nanotechnology column, Nanofilm president and CEO Scott Rickert suggests “a bootcamp for nanotechnology and industry” about commercialization to capitalize on the current interest in advanced manufacturing. Dr. Scott Rickert is CEO of Nanofilm, a leader in nanofilm technology and self-assembling thin films. to be a market-ready nanotechnology – or two or three – that could add incremental value tomorrow. Rickert, a 20+ year veteran in nanotechnology, suggests that companies approach their commercialization efforts as they would a military campaign. 1. Send out more scouts. Cast a wide net to find compatible partners, he notes, saying that Nanofilm’s R&D labs are constantly doing hands-on testing of early-stage technology to identify potential product advancements. 2. Meet with the generals. Avoid a buyer-vendor relationship by building a task force with C-Level personnel in all disciplines. 3. Keep the battle plans flexible. Consider all forms of partnership, including joint development, tech sharing, market sharing and licensing. 5. Be ready for hand-to-hand combat. Be sure everyone gets out of the lab and into the real world. 6. Never retreat. When necessary, tweak, reformulate, rethink; find another path, another partner, another idea. The full article, titled The Six Secret Weapons of Nanotechnology Commercialization, can be read at IndustryWeek.com. Scott Rickert is the co-founder and CEO of Nanofilm. 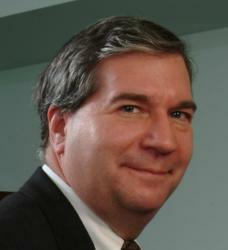 He has been the nanotechnology columnist for IndustryWeek.com since 2006. He is a founding board member of the Nanobusiness Commercialization Association and the Nano-Network and frequently writes and speaks on nanotechnology research and commercialization. Nanofilm (http://www.nanofilmtechnology.com) is a leader in nanofilm technology and self-assembling thin films for a variety of substrates and surfaces. With an in-house team of nanotechnology specialists, the company continues to leverage its rich technological strengths and core competences to capture growth opportunities in nanotechnology applications worldwide. Nanofilm is a privately held company with headquarters in Valley View, Ohio, near Cleveland.